Even though it is one of the most exciting times of the year, hosting during the holiday season can be challenging and stressful in any situation. It is important to be prepared for what lies ahead, especially in an apartment home where space to host more than a few guests can be limited. 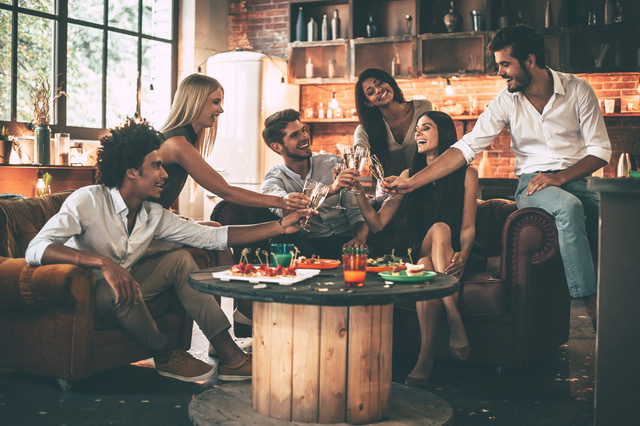 To ensure you have a successful holiday gathering in your Arcadia Run apartment home, get your chef’s hat on and take a look at some of our most helpful tips for getting the gang together to celebrate this season! It is probably hard to imagine hosting a holiday gathering, large dinner party, or even a small wine tasting in your apartment home with limited square footage. To make your space seem larger, change around your setup temporarily to fit an extra-long table, a few different hors d’oeuvres stations, or an empty room for dancing. If you realize you need additional seating or supplies last minute, call up your neighbor-turned-friend and ask to borrow some in exchange for holiday baked goods. Sturdy boxes, floor pillows, and end tables can be chairs too you know! Getting creative with your resources is a great way to save some money and also get an A+ for originality. If you don’t have a tablecloth big enough for the monstrous dining table you set up across the entire room, overlay a few different ones for a patchwork effect. Looking for some cool centerpieces but don’t want to put in the cash? Buy a few decorative items from the dollar store and spray paint them gold! Preparing food and snacks ahead of time will make your holiday gathering much easier on everyone in attendance, specifically you and your roommates. Find dishes, appetizers, and beverages that you can prepare ahead of time and take straight out of the fridge or warm up in the oven before the party. Our upgraded kitchens in every Arcadia Run apartment home allow a ton of space to get everything ready with ease. The point of hosting an event is to enjoy the company of people who you care about, not to enjoy the company of your oven! There is nothing worse than attending a holiday gathering and feeling like a nuisance rather than a welcomed guest. If you are the host, try to keep your cool, and if you prepare for the event ahead of time, this won’t be a problem! Don’t let little snags get you down and make sure to leave all of the clean-up for the next day – after all, you deserve it for throwing an amazing party! Head on over to our Pinterest page for more tips and tricks or visit our website to find the perfect apartment home for entertaining this year! The holidays are finally here at Arcadia Run in Manassas, VA, what better way to celebrate than with a nice evening out on the town? And by that we mean in Downtown Manassas of course! 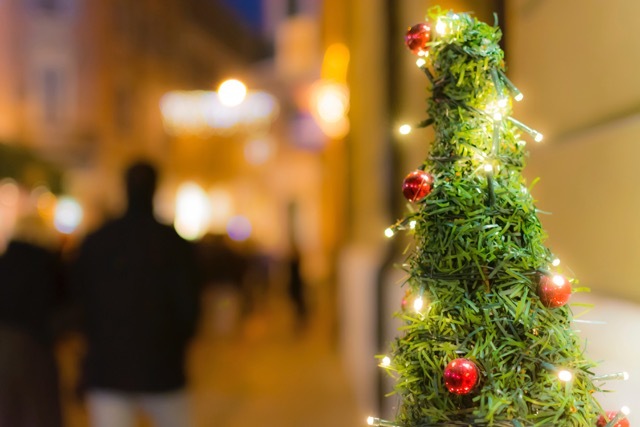 There are so many festive activities going on throughout the area during the next few weeks, so take a look at this schedule for holiday happenings in Manassas! Featuring art made by kindergarten and first grade children, the holiday exhibit at the Manassas Museum will be open all month long! Come enjoy an excellent performance of Charles Dickens’ classic holiday tale, brought to you by Rooftop Productions. All residents are invited to the annual holiday party where there will be food, fun, caroling, and prizes! Lot B @ Prince William St. & West St. This limited time farmers market will feature local vendors selling amazing treats and crafts. Tour the streets of Historic Downtown Manassas in a horse drawn carriage. Join the community and stock up on small accessories, gifts, and snacks for the holiday season. Hurry and get your tickets for this favorite holiday ballet, presented by the Manassas Ballet Theatre. In addition to other events throughout the month, Heritage Brewing Company is hosting an Ugly Sweater Party!